With its snow clad mountains, mystical lakes, fairy-tale castles, forests, picturesque villages and coastal resorts, Slovenia is a superb destination for a luxury holiday. 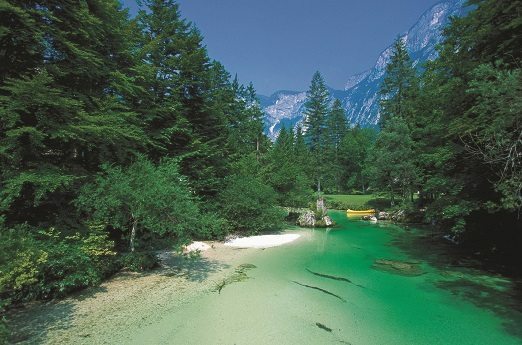 Slovenia is also highly recommended as part of a twin-centre holiday with either Venice or Croatia. Below we’ve listed our top recommended places to visit in Slovenia on your luxury holiday. The capital and, Art Nouveau city of Ljubljana is ideal for those looking for a city-break with character. 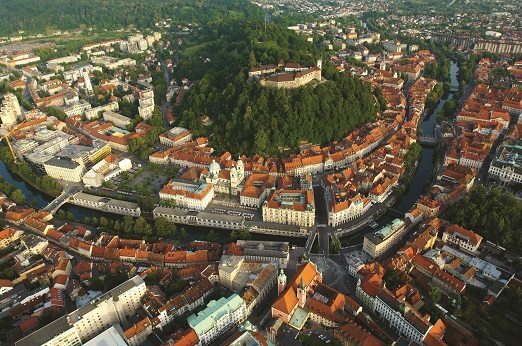 Stroll around the town or along the River Ljubljanica, visit galleries and museums then settle down at one of the outdoor cafes or restaurants. The city’s small size means that it is very manageable so you can be sure to see a lot of the sights. Ljubljana boasts a vibrant nightlife and with a city so packed full of culture you can usually find music, theatre or arts events going on. For a taste of history visit the Old Town and the city’s medieval castle. Stay at the superb Hotel Slon for a wonderfully central location and which also boasts an excellent restaurant. For Art Nouveau style choose the Grand Hotel Union Executive located on the edge of the historical area. Around an hour from the capital is Lake Bled which is quite possibly one of Slovenia’s most beautiful areas, perfect for a romantic getaway. A stunning fairy-tale castle overlooks the lake and right in the middle on its own little island is a picturesque church. There is an abundance of walking and cycling trails in the area for you to discover plus in the winter the ski resorts of the Julian Alps are there for you to enjoy. The town of Bled has been a popular health spa since the 19th century so be sure to give yourself time to relax on your visit. For exceptional lake views and superb accommodation stay at Hotel Park or Grand Hotel Toplice and take in this fairy-tale setting with all the amenities of good four-star hotels. Another lake truly worth a visit is Lake Bohinj surrounded by towering mountains. An hour’s drive from Llubljana it is perfect for just a day trip should you wish and you can spend a delightful day swimming in the lake or walking the surrounding trails. 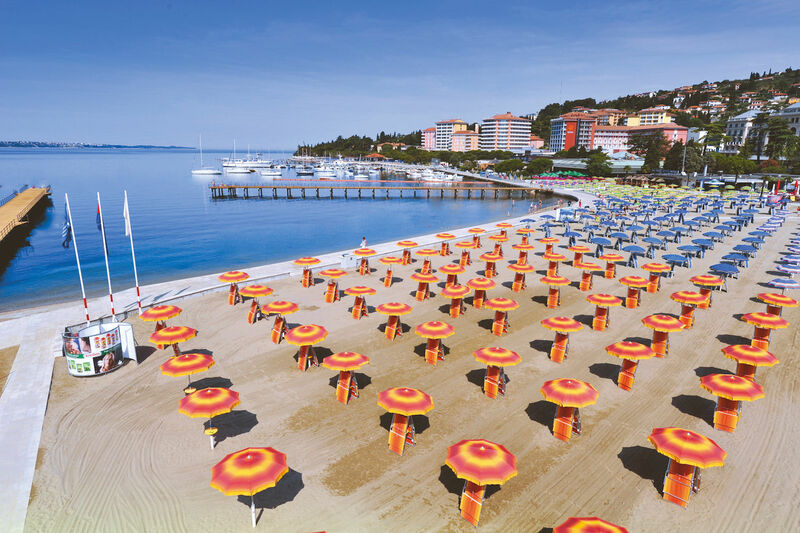 Portoroz is a charming, cosmopolitan seaside resort which is a fabulous choice of places to visit on luxury Slovenia holidays. With a sandy beach, plethora of watersports and a range of land based activities there is lots to do for all holiday-makers. Amble along the promenade lined with pretty flowers, enjoy a coffee or light lunch in one of the charming cafes or dine at one of the many superb restaurants. Those looking to rejuvenate and unwind should take full advantage of the famed spa towns therapeutic seawater and pleasant microclimate. The Kempinski Palace Porotoz is a fantastic choice for those looking for classic, refined luxury. Slovenia is an excellent choice for luxury holidays for those looking to take in the true beauty of one of Europe’s most magical destinations. There are activities and sights for all from beaches, watersports, hiking to city-breaks. 3 nights in Lake Bled with day trip to Bohinj. Leave early in the morning to make the most of 1 night in Ljubljana. Leave late in the afternoon, so that your 1 night in the city is 2 days, and spend 2 or 3 nights in Portoroz.